Marc Jacobs is one of the most influential people in the world according to Time magazine, and it is through the fashion world that his talent shines. After being the creative director of the fashion house Louis Vuitton for almost seven years, now he is the head of his own fashion label in his own name. His recent collections have a strong ’80 throwback, while of the most designers have often referred to the ’70s, Jacobs has filled his shows with lime abstract neon, colorful animations, glitter and punk twist with an explosion of retro goodness. His sunglasses collection of Fall/Winter 2016 reflects this memorable ’80 style. 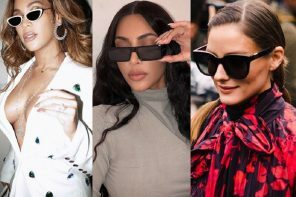 We have collected his five most recent ’80 inspired sunglasses campaigns to make you feel inspired this fall/winter in your fashion choices, by an icon of the fashion world. The snap above is taken from the fall/winter campaign 2016, we can see clearly the ’80 reference: colorful hair, the model is wearing a pair of light brown cat-eye sunglasses and a sweater with a bright green star print, which gives a retro vibe to the entire outfit. 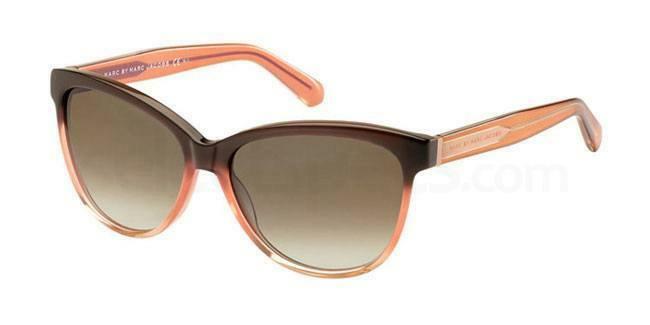 If you want to copy her look try these light brown cat-eye Marc by Marc Jacobs MMJ 411/S, they will make feel confident and add a playful touch to your outfit! This September we’ve teamed up with @AppleMusic to highlight custom playlists from our cast and creators featured in our Fall ’16 ad campaign. ? Link in bio to hear what stylist @Kegrand and photographer #DavidSims are listening to. ? In the snap above all the models have for sure a throw back glam rock ’80 allure! They seem just ready for a solid night of clubbing with Twister Sister! 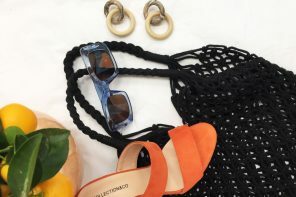 Here again in the video below, we find colorful abstract neon colours and some really stylish black cat-eye sunglasses, perfect to wear from morning to night. 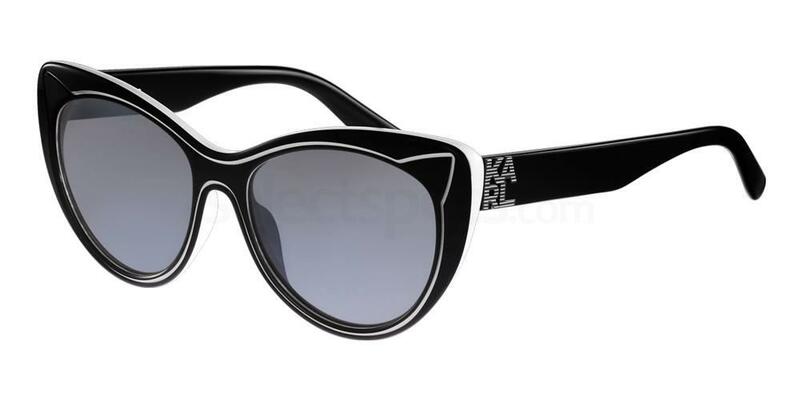 Try these black cat-eye Marc Jacobs MARC 16/S rock the 80’s glam edge. 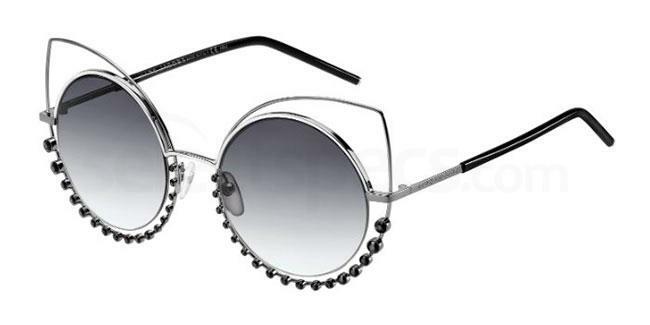 Or try the Marc Jacobs MARC 47/S sunglasses for a more everyday wearable style. 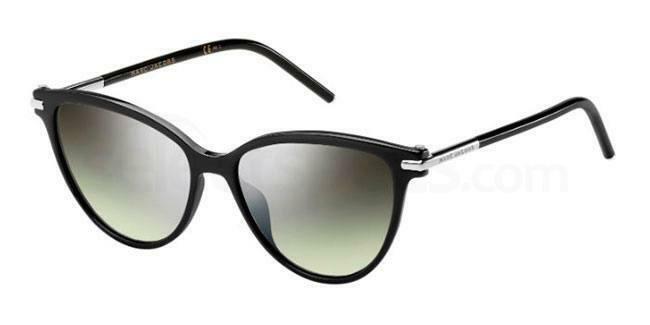 If you really want to showcase the cat-eye look the Karl Lagerfeld KL900S even features an adorable little cat ear detailing on the rim! Gigi Hadid has collaborated with Marc for the sunglasses campaign of 2016. Here again we can find a strong ’80 inspiration, Gigi’s look is rockish and edgy, with big beautiful curls, a leather jacket and star shaped sunglasses. 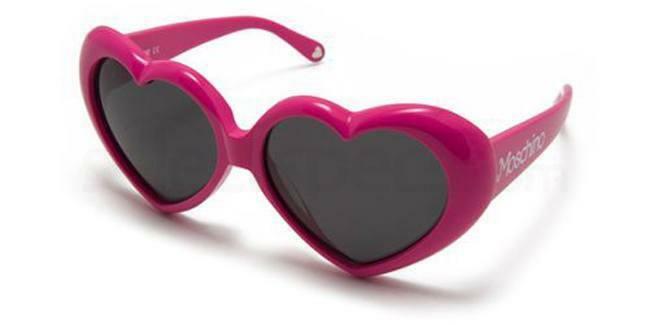 For some funky shapes shades check out the Moschino MO585 with their heart shaped frames they add a colourful pop of cute to any outfit! In the picture above, instead we have a strong pop-culture inspiration and the MTV logo is the main feature. Mixed colorful and animal prints with a punk twist again the ’80 theme is major also in this collection. 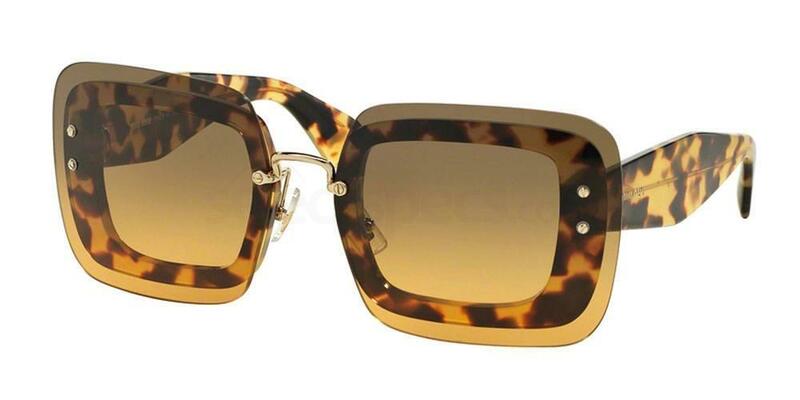 Squared, big and colorful sunglasses are here the key of their eclectic and super stylish look. If you also have a strong ’80 nostalgia and cannot help it but to copy this eccentric, bold and cool look try the Marc Jacobs MJ 501/S they will make you stand out of the crowd for sure! 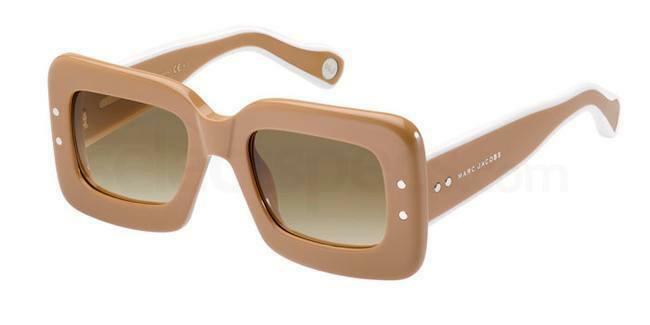 Or try the Miu Miu MU 02rs for a cool two-tone look. 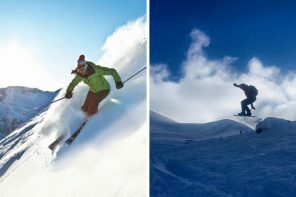 We are curious which of the above sunglasses you like the most and if you have, like us, a strong ’80 nostalgia! Tell us in the comment section below. For more retro inspiration take a look at our 5 favourite looks from Instafamous Celebs!